The cat in this photo is stunningly good-looking and looks quite content. If you need to treat you cat for fleas, mot methods will not be a fun activity for your feline. In fact, to your cat’s mind, the process of getting rid of fleas may seem like torture. But that’s kitty-drama. However, as independent as cats are, they require human help to get rid of the nasty flea critters. 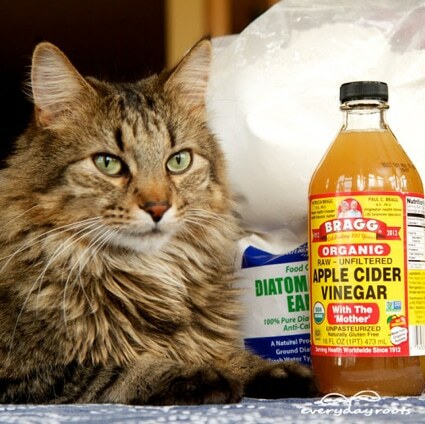 These five natural flea treatments might not be fun for kitty, but they work and do so without exposing your kitty to any dangerous chemicals. This means, they also are safe for you as you administer them.